Digital fabrication has been termed the “third industrial revolution” in recent years, and promises to revolutionize the construction industry with the potential of freeform architecture, less material waste, reduced construction costs, and increased worker safety. Digital fabrication techniques and cementitious materials have only intersected in a significant way within recent years. 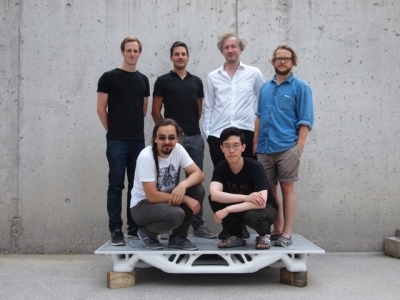 In this letter, we review the methods of digital fabrication with concrete, including 3D printing, under the encompassing term “digital concrete”, identifying major challenges for concrete technology within this field. We additionally provide an analysis of layered extrusion, the most popular digital fabrication technique in concrete technology, identifying the importance of hydration control in its implementation. Wangler, T., Lloret, E., Reiter, L., Hack, N., Gramazio, F., Kohler, M., Bernhard, M., Dillenburger, B., Buchli, J., Roussel, N. and Flatt, R. (2016) “Digital Concrete: Opportunities and Challenges”, RILEM Technical Letters, 1, pp. 67-75. doi: 10.21809/rilemtechlett.2016.16. Authors retain copyright of the articles published in RILEM Technical Letters and grant the journal right of first publication with open access. The work is simultaneously licensed under Creative Commons Attribution 4.0 International License (CC BY 4.0) that allows others to share and adapt the work under the following terms: 1) a proper attribution is given in a form of a reference to the original work's authorship and initial publication in RILEM Technical Letters (bibliographic record with a DOI link); 2) a link to the license is provided; 3) the possible changes are indicated.